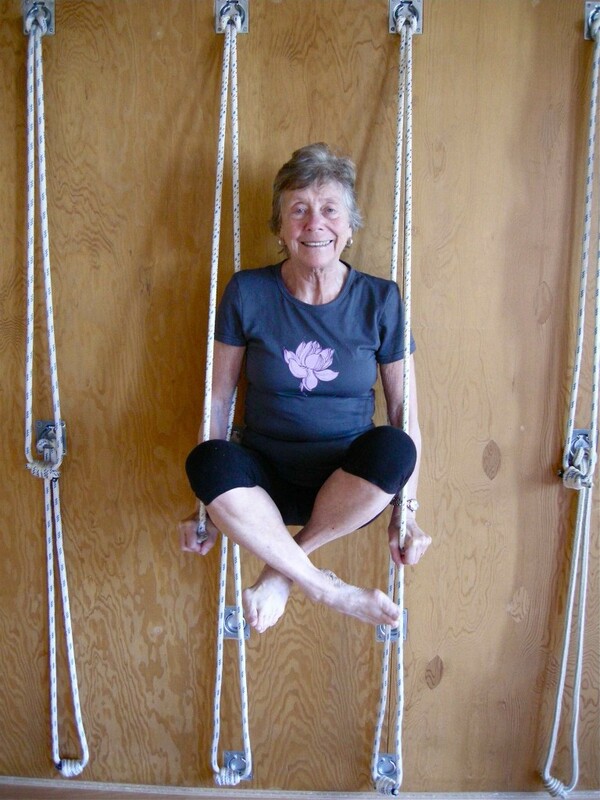 Hanging out in Victoria: Sukhasana in the ropes. 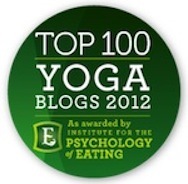 I spent last week at the Iyengar Yoga Centre of Victoria at the Intermediate Teacher Training Intensive. It’s a workshop for Iyengar teachers preparing for the third, fourth and fifth levels of certification. The elf in the photo is Shirley Daventry-French, 78, senior teacher and founder of the centre. For this intensive, she taught six hours a day for five days. We started at 9 a.m., ended at 5 p.m., and had a two-hour lunch break. After the invocation, we discussed the previous day’s work. Then we worked on the poses. We did them, analyzed them and taught them to each other. Shirley corrected, questioned, added more ideas and told stories. 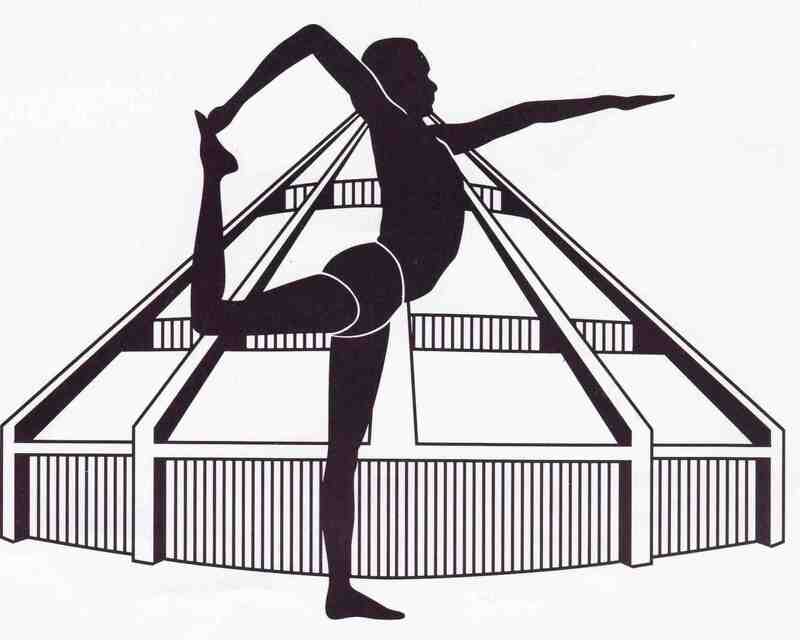 The Iyengar system has a high regard for inversions. On Monday morning, we spent two and a half hours working on full arm balance and headstand. Tuesday the focus was less on arm balance, more on elbow balance. On Wednesday, we continued the clinic on arm balance we had started on Monday. I have leaky elbows. That means I rotate my lower arm bones out rather than keeping them in line with the upper arm bones. This leads to a bent elbow, which is a weak foundation. In our group of 16, I wasn’t the only one leaky elbows, but I was the one chosen as the student for analysis. I kicked up, and kicked up again. My pose was analyzed, and adjusted. Iyengar yoga is a method of inquiry, so there were questions. Could someone take me into correct alignment while I was in the pose? Could I learn not to bend my arms when I kick up? Would it help to put a belt around my elbows? What would happen if I came up with my non-habitual leg? At one point, wanting to teach me to push more vigorously with my hands, Shirley put her palms against mine and told me to push her away. I couldn’t. “You’re bigger than me,” she said. And that’s true. “But not nearly as wily,” I said. That made her laugh, and she stopped pushing. When it was over I was enormously grateful for all the full arm balance practice I had done in the last six months. Even so, my arm and shoulders were still sore enough days later that I whimpered when I had to put on a t-shirt. I am also grateful for the insights and suggestions of that day, and I’ll work with them as I practice. But the whole episode raised a larger issue for me. A few months ago, I wrote about my 21-year relationship with arm balance in a post called Arm Balance: a Love Story. At that time, I had finally learned how to reliably kick up, after years of intermittent success. Barring catastrophe, I still don’t expect arm balance to ever leave me again. And that seemed like the end of the story. But now my happily ever after has resolved into something less soft and rosy. It ‘s like the difference between living together and being married. Gears shift, and a different question arrives: now that you’ve said you’re staying, what do you plan to do? The answer often looks like work. Back home in Vancouver, on a hot day in the middle of August, I think about the strap, the second kick-up leg, the awareness needed to turn the lower arm bones in a different direction. Well, if I want a chance to float in the ropes in Sukhasana at 78, laughing and making jokes, I guess I do. You were a champ at that Intensive. I saw how hard you worked, despite the soft touch you have made of it here. No wonder you felt whipped about the shoulder girdle for days afterwards. I think the “carrying angle” we have in common with many other women is is also a reason our elbows “leak energy” and our dominant side makes one arm/shoulder/hand/wrist work differently than the less used side. Please keep us in touch with your process of making a good marriage with full arm balance. Eve, what a lovely story! The next time I ask myself: “do I have the energy for this?” (and I do quite often!) I am going to remember your little tale. Thank you! Glad to be on board. Sweet pix of SDF. 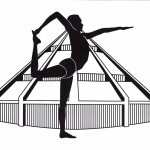 Would you be able to send me the pictures of viparita sirsasana? Insightful post and an inspiring elf. Not only do I have leaky elbows but weak wrists. However, I aim to match the smile when I’m that age. This is so inspirational….to see Shirley doing what she is doing at 78…quite amazing. Thank you Eve for sharing this. Next post: Yoga Bear in Finland: but what does it mean?